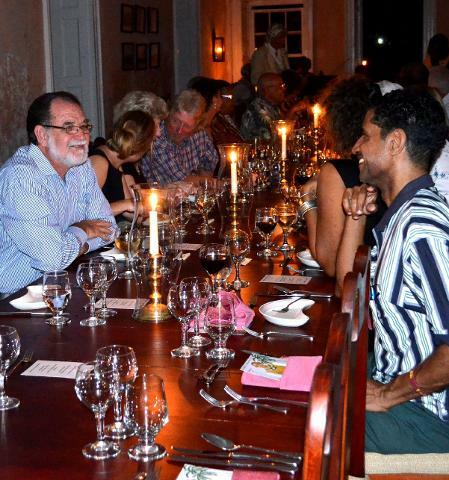 Every Monday evening from 7 – 10 pm, The ‘Dinner with George’ Washington has been labelled as “Barbados’ newest and most exciting dinner theatre experience. 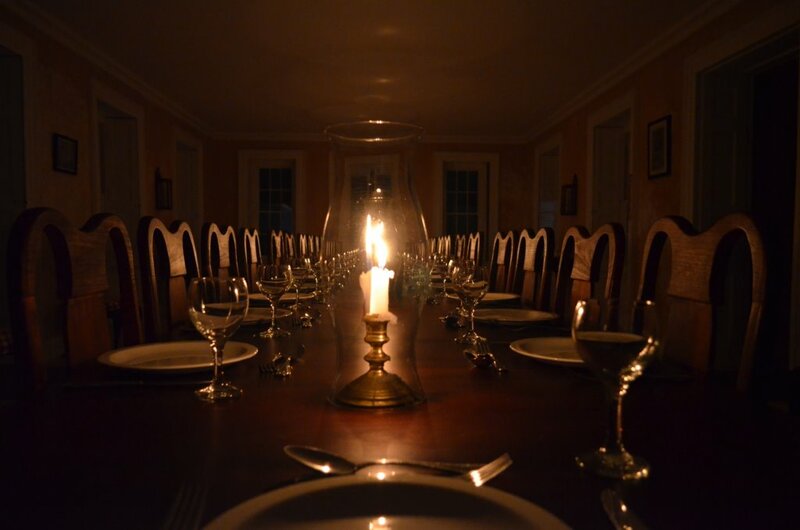 Twenty-nine guests enjoy a truly authentic evening illuminated with candles and flaming torches. A sumptuous 5 course dinner is served in a wonderfully romantic setting accompanied by fine old world wines and in the very dining room where young George dined for 6 weeks in 1751. The LIVE sounds of violin and cello soothe throughout the evening. George Washington, played by eminent Barbadian historian Dr Karl Watson regales guests with Georges exciting life story and life in Barbados during the 18th century.